For the first time in Local Roots History, we have made our grand debut on grocery store shelves! We’re so excited to share our products with you. Everyone in the Local Roots Family has been working so hard to bring you our fresh, new, exciting line of salad mixes. As a company, we’re focused on sustainability. Our greens are always locally grown, while using up to 99% less water than conventional farming, and with ZERO pesticides or herbicides. They’re delicious, nutrient dense, and will last longer in your fridge than your average package of greens! We are certified Non-GMO, Sustainably Grown, and Pesticide Free. That being said, allow us to introduce our 3 new products. 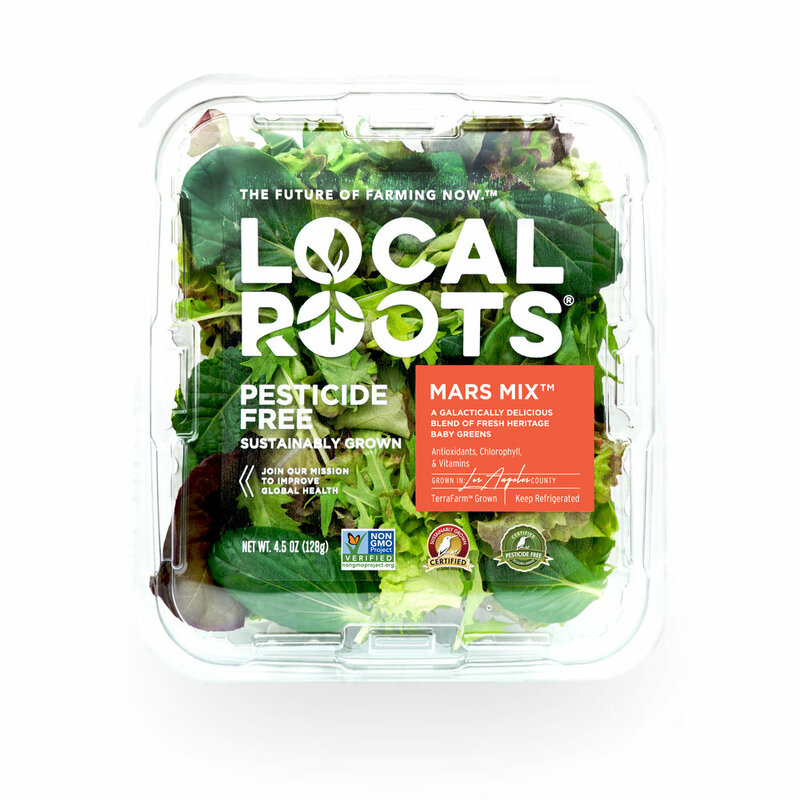 Mars Mix: This flavor-packed, spicy blend will put your average salad mix to shame. A beautiful blend of interesting textures and colors, these leafy greens that are never-before-seen in grocery store shelves will always leave you reaching for another bite. 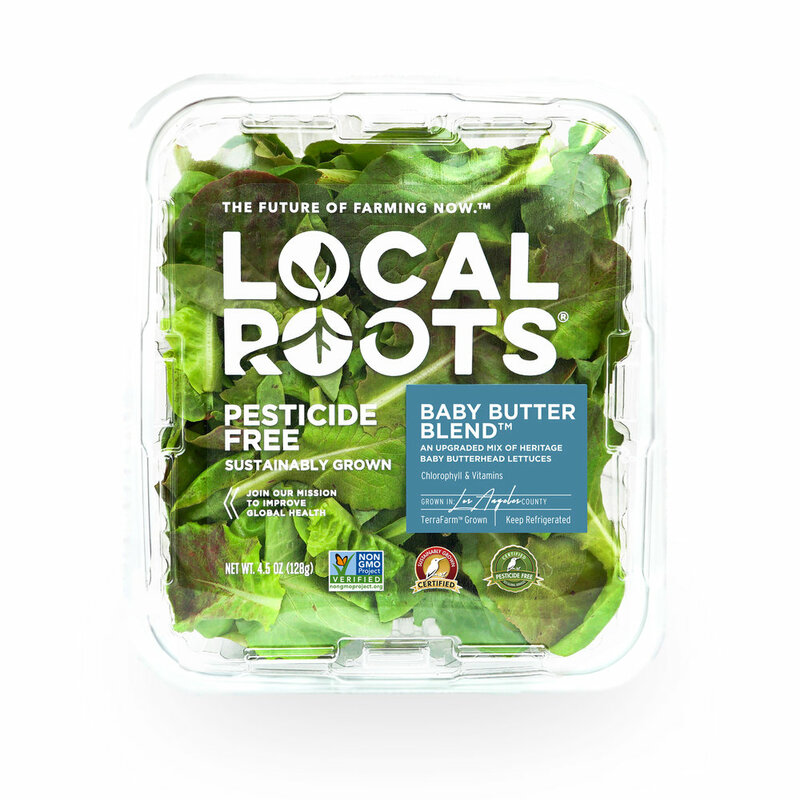 Baby Butter Blend: If you like your salad tender, crunchy, sweet and delicious you will love this baby butterhead blend. A smooth, tasty mix of beautiful butter lettuce that tastes just as amazing in tacos as it does topped with fruit! We can’t wait for you to join our mission of improving global health by building a better food system.